Professor Simon Dobson, School of Computer Science, will deliver his Inaugural Lecture 'The Computer is the New Microscope' in the Lecture Theatre, Medical and Biological Sciences Building on Wednesday, 7 December 2011 at 5.15 p.m. All are welcome. Professor Dobson's research centres around building software for adaptive sensor-driven systems. These are found in applications as diverse as environmental monitoring to study climate change and assisted living for supporting the elderly or infirm in their homes. Simon's work aims to span both theory and practice, improving foundational understanding while being demonstrated in practical applications. This blog is an introduction to the research community at the University of St Andrews. Email rpo@st-andrews.ac.uk with your research-related news stories. 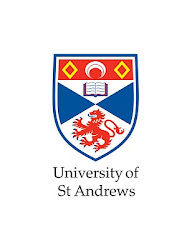 The University of St Andrews is a charity registered in Scotland: No SC013532.